You know the expression everything under the sun? 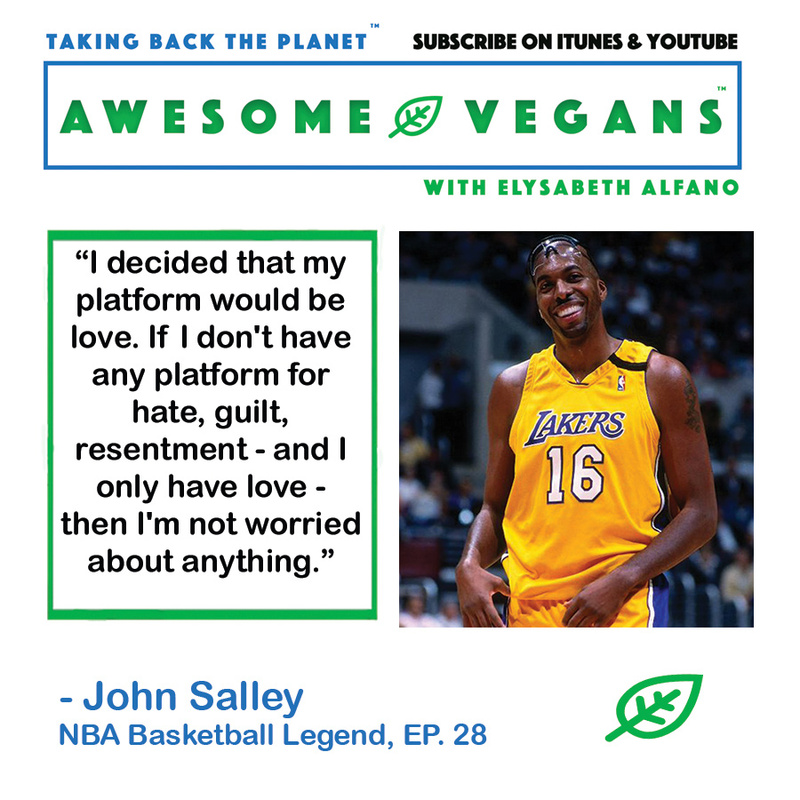 That’s exactly what I talk about with this episodes’s guest: basketball legend, wellness master, media personality, chef and philosopher, John Salley. 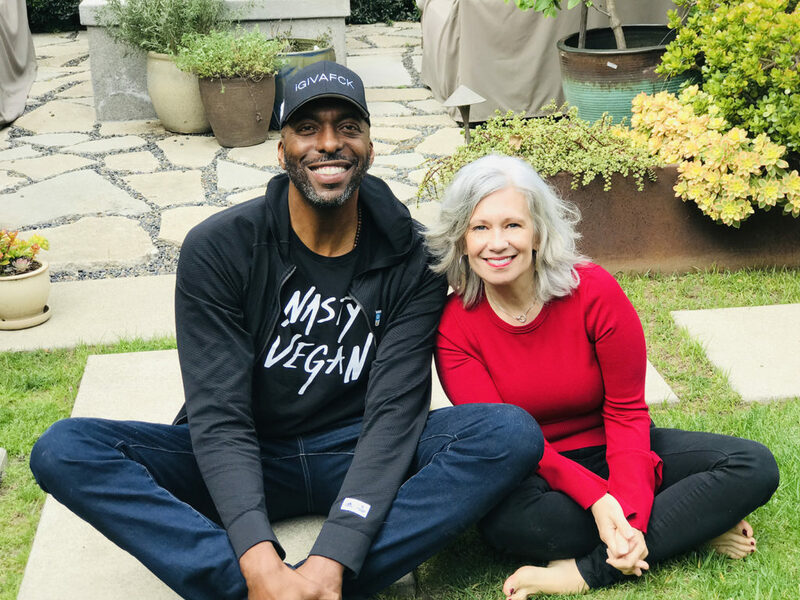 Get comfy and settle in because John Salley and I wax prophetic about our food, John’s life vision, his many, many businesses and projects, and his time as an athlete with Michael Jordan and Phil Jackson on the Chicago Bulls and then again with Phil Jackson for the LA Lakers. Plus, John Salley gives us his take on religion and his tips for young athletes and… the rest of us. This four-time NBA champion athlete holds nothing back and it’s all the straight dope. Oh, and we talk about that, too! John has a very zen approach to life and leading by example. Post basketball, his entrepreneurial spirit has flourished. He only works with companies that support his life vision of making the world a better place and working from a platform of love, health and kindness. Of course, his roots are in sports and in this clip he answer the age-old question: Where do you get your protein. Are you looking for a great source of protein? Check out Nuzest.US/Awesome for Nuzest’s Clean Lean Protein Powder. A trial pack of 10 with four delicious flavors is $9.99 plus free shipping if you hit up Nuzest.US/Awesome. I don’t just use it for protein on juicing days and in my breakfast bowl, I have been cooking with it, using it as a replacement for flour! Bonus! Yum, yum and more yum! Try it and let me know what you think. 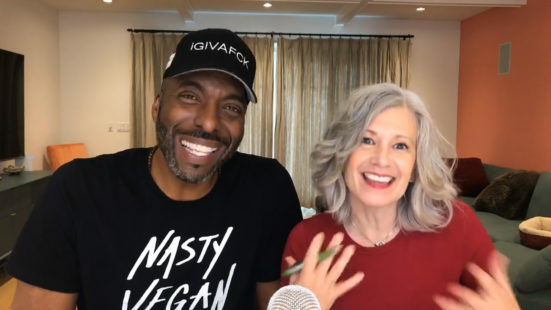 SUBSCRIBE to Awesome Vegans with Elysabeth Alfano on iTunes and on my Youtube Channel, Elysabeth Alfano. 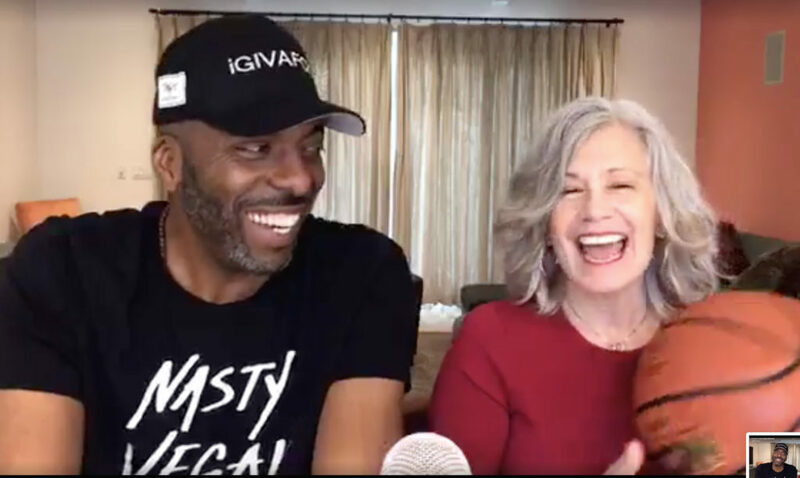 And be sure to subscribe to my monthly newsletter to never miss a Facebook Live interview session or live cooking demos. Plus, Instagram and Twitter . Thank you to WGN Radio which airs all of the Awesome Vegans Podcasts! In addition, Elysabeth can be heard live on WGN Radio as a guest host and as a plant-based expert, so stay tuned.